We were searching for a landscape designer who would provide us with something special and our interior decorator recommended that we contact Steven Clegg. What wonderful advice that turned out to be. Steven has this special gift of being able to absorb a client’s thoughts and ideas and produce a landscape design which creates a finished product which surpasses the highest expectations. From initial consultation, through the design process to completion of our very beautiful garden, Steven was a joy to work with. 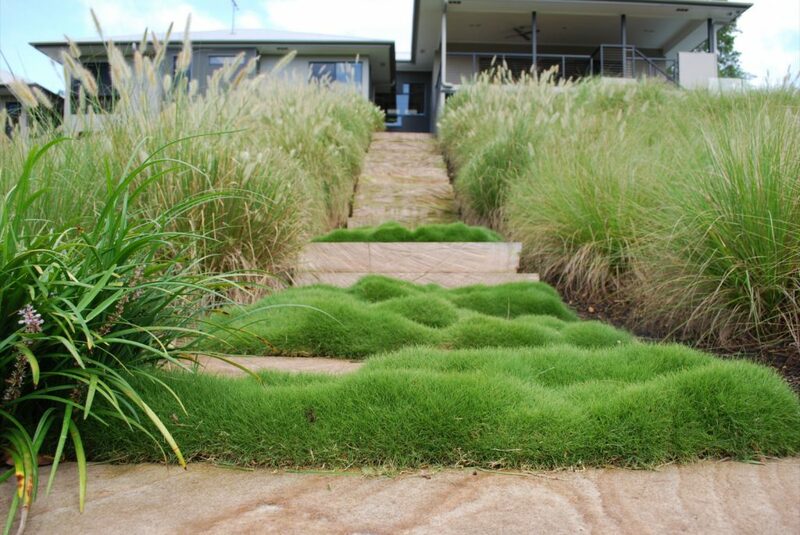 Steven Clegg is the most wonderfully creative landscape designer that I have ever met. It was an absolute pleasure to have him take my money on several occasions, in fact, I am about to give him some more as soon as I can book him! His ideas are unique and original. My husband and I have used Steven Clegg three times to design either courtyards or a front garden. The most recent project we undertook with Steven involved designing our back courtyard and side exclusive use area, selecting and planting water-wise and architectural plants, installing a water system and tank and doing our garden maintenance on a regular basis. 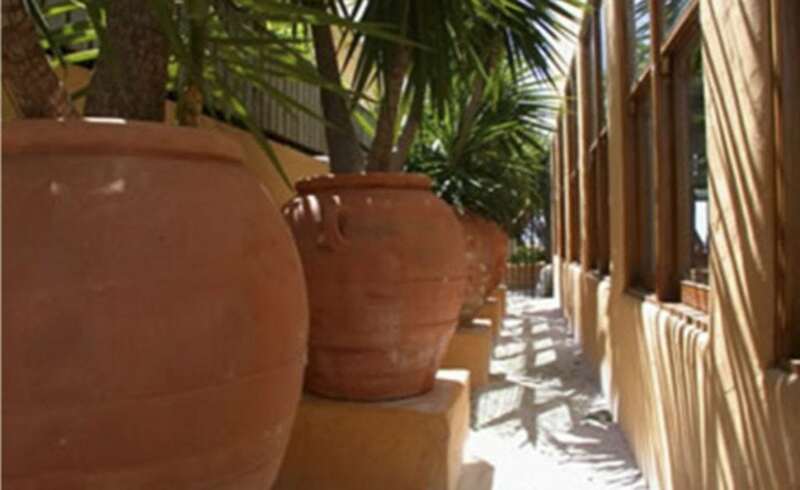 Our courtyard is everything that we asked for and more. We use Steven Clegg Landscaping Maintenance for garden maintenance to protect our initial investment in our courtyard as I have a brown thumb. 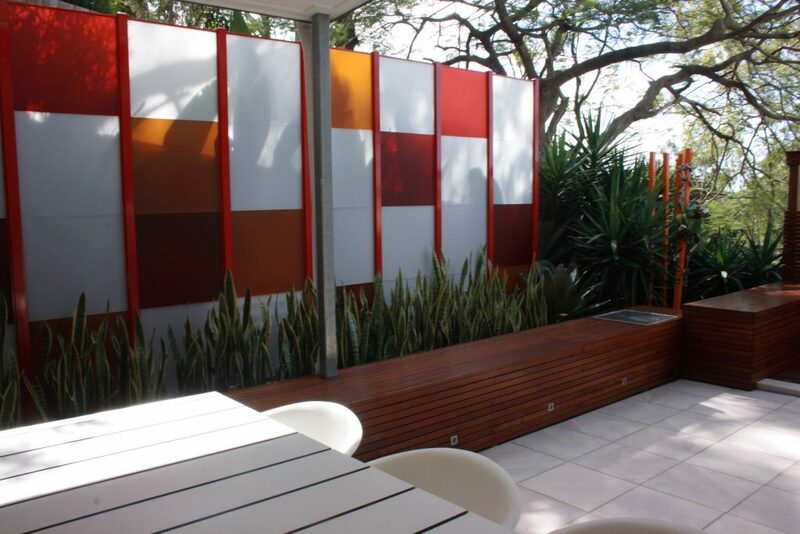 When we move I have already decided that we will continue using Steven to design and maintain our new garden and would highly recommend Steven and the team as the best in Brisbane. We can’t recommend Steven Clegg and his team highly enough – in fact, we’ve been boring everyone with their praises! Steven’s measured consideration of the site, his creativity coupled with practicality and his attention to detail made the garden design process, (at least from our point of view), not only ‘painless’, but also an exciting and interesting experience. The teams of workmen involved installing the hard and soft landscaping were terrific – polite, cheery, highly knowledgeable and efficient. (We’re still wondering how they managed to leave the site looking immaculate at the end of each working day, despite the torrential rain). 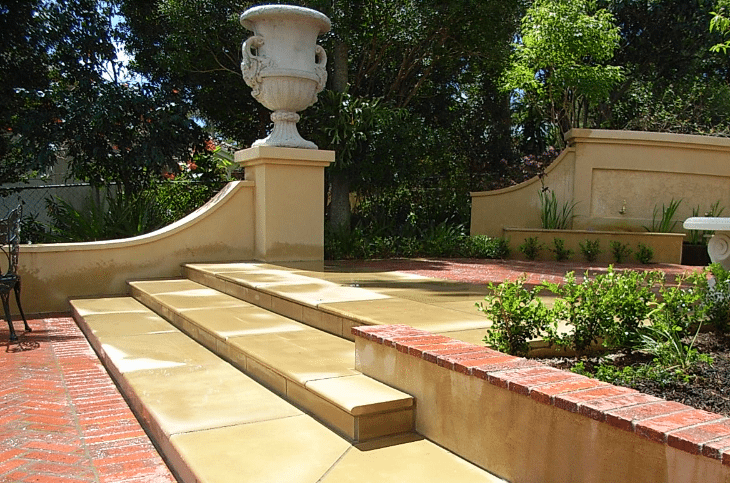 Steven Clegg is a master at his craft of landscape gardening and design. He and his team recently completed our five-part garden project – the result of which is absolutely magnificent! Steven’s work has exceeded all of our expectations. We found Steven a pleasure to work with during our time of consultation and planning. thank you, Steven. We have now been working with Steven and his team for over 12 years when we first engaged them to design and install the new garden for our first new house in The Gap. Over the years the team have maintained the garden in perfect condition which we believe was a big plus when we came to sell the house 2 years ago. 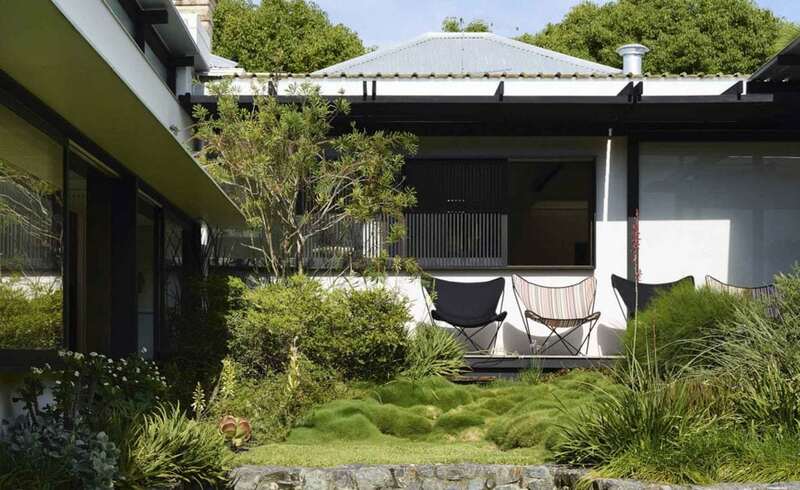 3 years ago we decided to build a new house in The Gap on 4000sm on a moderately sloping block and we had a large range of soft and hard landscaping ideas and some considerable challenges. The end result is way beyond out expectations and the solutions that Steven came up with as new problems emerged delivered a fantastic visual and sustainable result. We are delighted with Steven’s work in our garden. His design work is creative and practical and when you combine this with his knowledge of plants, you have the ingredients for a successful garden. For most of my life I have been interested in gardening, be it growing plants in pots to attempting my own garden designs. So I was determined that to have an architect designed house built, it would require the same in the gardens to complement and enhance it. 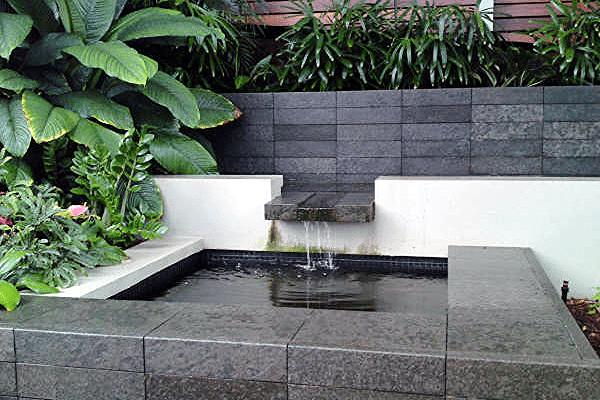 It was necessary to have the gardens designed and executed at the same time as the build by a professional. Then the house and gardens would reflect their era and be juxtaposed together, rather than the gardens as an afterthought, or skimped on with leftover monies. 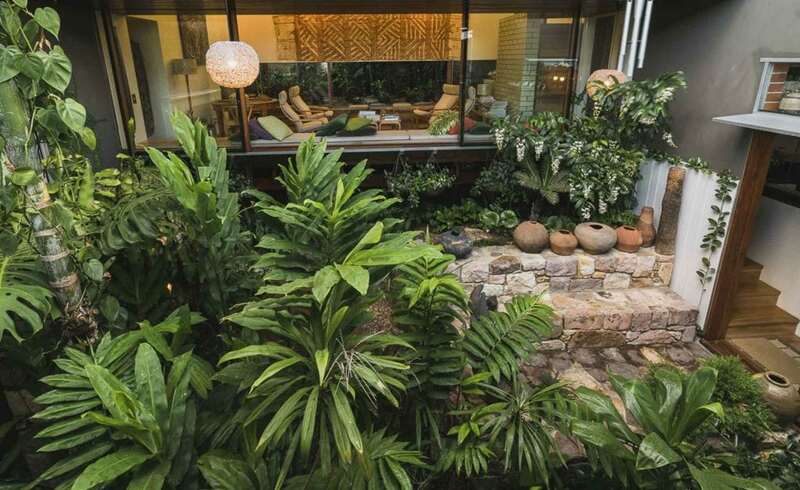 The architect Timothy Hill was suggestive in his hardscape and softscape for the site after a visit to gardens in Kathmandu, Nepal, where he noted vegetation (some Australian) growing in gardens also grew in Brisbane. This and the idea of a ruined castle were the foundations for the site’s landscape. Finally, as the site sits on the eastern side of Teneriffe Hill it required the use of pine trees to complement the significant trees already growing on the hill namely Australian pines. Timothy suggested Steven Clegg to be the person to best fulfil the vision. Timothy and I met with Steven and after preliminary design plans, I soon realised he was indeed the best person to convert this vision into a practical reality. 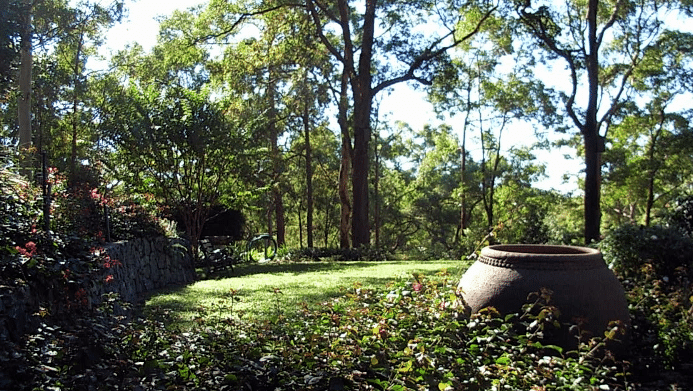 My brief to Steven was simple like Timothy I wanted the garden’s vegetation to have a distinctly Australian flavour. After a minor change a final plan was agreed upon, and after the turmoil of a year of construction and within only a few days his friendly efficient team created a paradise. 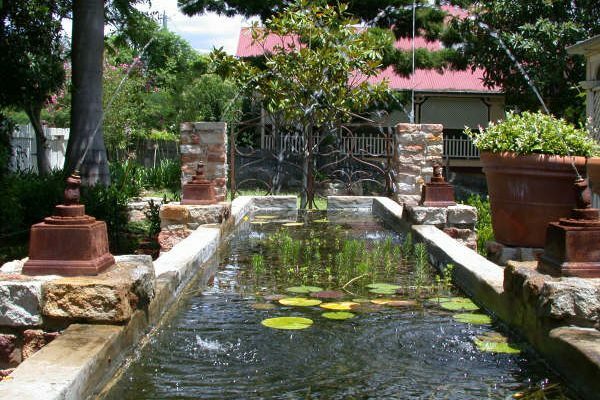 The gardens speak for the genius of Steven’s work, firstly his training as a horticulturist, selecting the right plants taking into account shape height width shade moisture drainage and root structure. Then there is the artist, the layout of the aesthetics creating the vistas, themes effects structure texture and movement, all to engage the eye and enhance the senses. He has fused the principally Australian vegetation with the appropriate introduced and the exotic. He has interpreted and created a set of truly unique contemporary urban Australian gardens, befitting the house’s design. As they grow and mature together they will continue to prove every great house requires a great garden to create harmony balance and effect. While now spectacular, the gardens full majesty and Steven’s creativity will be realised in some three to five years. The gardens will eventually be recognised as amongst the finest in this country. Steven is surrounded by a truly friendly and efficient team both in the field and in the office. It is and has been a pleasure dealing with very polite, respectful and natural individual including himself. The garden creates a peaceful and engaging environment in which to exist and is a great enjoyment to me. Though easy to maintain it keeps the gardener in me fulfilled, as there is always something that requires attention or worry. Steven’s continuing advice and experience have saved many a plant from a pest, or too much or too little water or fertiliser.